Dr. Rollofson is committed to excellence in dentistry. She is dedicated to the comfort and quality care of her patients. She strives to make each patient's experience joyful and as fun as possible! She is conservative in her approach to dental care and patient comfort is her top priority. She grew up locally in Rancho Murieta, Ca and attended Joseph Kerr Middle School and Elk Grove High School. She received her Bachelor’s Degree in Biological Sciences from UC Santa Barbara. She then moved on to receive her Doctorate of Dental Surgery from the University of Southern California where she was on the Dean's List. Post-graduation, she spent another year in Los Angeles completing a General Practice Residency at Cedars-Sinai Medical Center. One of her passions is being a part of the community and giving back to her community, and profession, as much as possible. Her office is a host site for an annual “Smiles for Kids” clinic for the local underprivileged children and she is the Lead Triage Dentist for CDA Cares, a travelling free clinic throughout California. Dr. Rollofson is also very involved in leadership. She is currently is serving on the CDA Board of Managers, which is responsible for putting on two large continuing education conferences annually. Her previous positions include Chair of the CDA Committee of the New Dentist, member of the CDA Policy Development Council and Leadership Development Committee. Locally, she was Chair of the Continuing Education Committee and on the editorial board of "The Nugget", The Sacramento District Dental Society monthly newsletter. When not treating all her great patients at the office, family is Dr. Rollofson’s number one priority. She stays busy chasing around her toddler daughter, Francesca (aka "Frankie Lou"). She and her husband Dominic enjoy travelling, and getting away to their Tahoe cabin as much as possible! She is also a pet lover and has two yorkies, Lola and Louie, and a cat, Zeus. Dr. Sandra Fouladi is an experienced dentist with a warm chair side manner that puts even the most fearful patients at ease. Dr. Fouladi was raised in Phoenix, Arizona, and completed her undergraduate studies at Arizona State University. From there, she earned her Doctorate of Dental Surgery at the distinguished USC School of Dentistry. 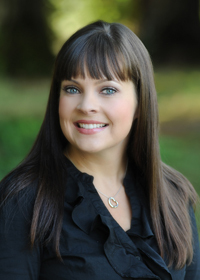 She has spent the last 6 years practicing dentistry in Jacksonville, Florida. She values participation in organized dentistry and maintains an active membership in the American Dental Association and the state and local chapters. “The most rewarding part of being a dentist is helping patients overcome their fear and anxiety. I try to create an experience that is pleasurable, and my patients look forward to every visit. There is no doubt that a beautiful smile can represent a person well.” Outside the office, Dr. Fouladi stays busy with family. She is married and has two young children, Daniel, age 3, and Nina, age 1. They just moved to Sacramento and are so excited to get to know the people and the area and make this a permanent home! 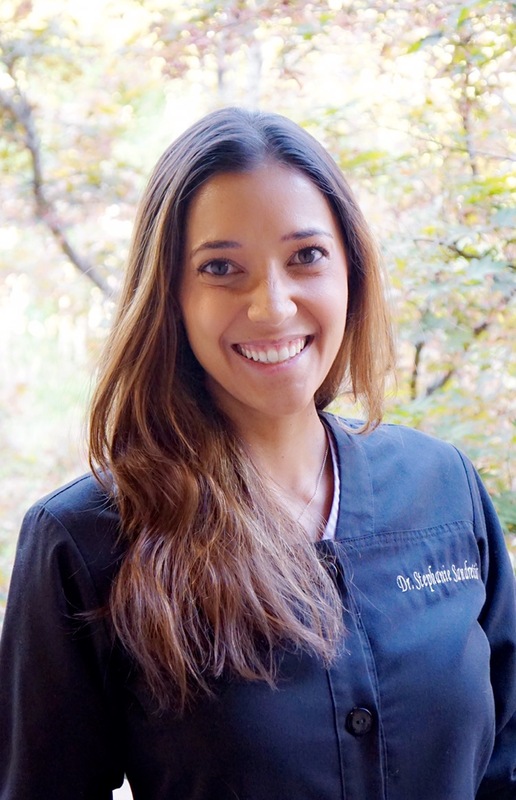 Dr. Stephanie Sandretti was born in San Francisco and grew up in Danville, CA. She received her Bachelor of Science degree with honors in Biochemistry at UCLA in 2009 and obtained her DDS degree at the UCLA School of Dentistry in 2013. She was honored to be selected for Omicron Kappa Upsilon, the dental honors society, while at UCLA. After dental school, Dr. Sandretti completed a two-year General Practice Residency at the Veterans Administration Medical Center in Richmond, VA with an emphasis in geriatric dentistry and medically-compromised patients. Philanthropy is very important to Dr. Sandretti. She established the Honduras Dental Mission program at UCLA and founded the Honduras Dental Care Foundation, a 501c3 non-profit organization, to support dental mission trips to Guaimaca, Honduras. She continues to visit Guaimaca annually to provide free dental care, instruct dental students and give back to some of the most needy people in the world. Outside of the office, Dr. Sandretti enjoys spending time with her husband, Matt, who is an Orthodontist. They spend summer weekends wakeboarding on the Sacramento Delta, enjoy snow-skiing at Lake Tahoe and love travelling to the world’s best SCUBA diving destinations. Both Dr. Sandretti and her husband are avid UCLA Bruin fans and look forward to football and basketball season each year. Dr. Sandretti always puts her patients first and is dedicated to providing each of them with the highest quality, personalized and compassionate dental care. She wants her patients to feel comfortable and educated about their dental needs to make their experience as enjoyable as possible!